View of the newly protected property near Shaupeneak Ridge.Robert Rodriguez, Jr. This mix of woodlands and meadows lies at the base of Shaupeneak Ridge, adjacent to Scenic Hudson’s popular Shaupeneak Ridge Cooperative Recreation Area. Our purchase of development rights to the property permanently safeguards impressive ridge-top views from public trails while allowing the use of its fields for agricultural purposes. 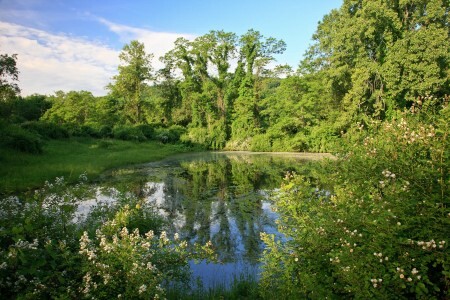 Freshwater wetlands, ponds and a small stream are among the sensitive wildlife habitats located on the property, which lies within the state-designated Shaupeneak Ridge Biologically Important Area. The land is immediately east of a 73-acre parcel of woods and meadows purchased from the same landowners in 1999. Protecting large, contiguous landscapes safeguards local aquifers—a community’s prime source of drinking water—as well as the interconnected network of habitats on which many wildlife species depend. The purchase is part of Scenic Hudson’s collaborative campaign to Save the Land That Matters Most, protecting 65,000 acres of great scenic, ecological and agricultural significance.